Light and dark grays, silver and butterscotch are the colors in this 21" heavyweight. The stones are beautiful with silver spacers and hemalyke disks in between. 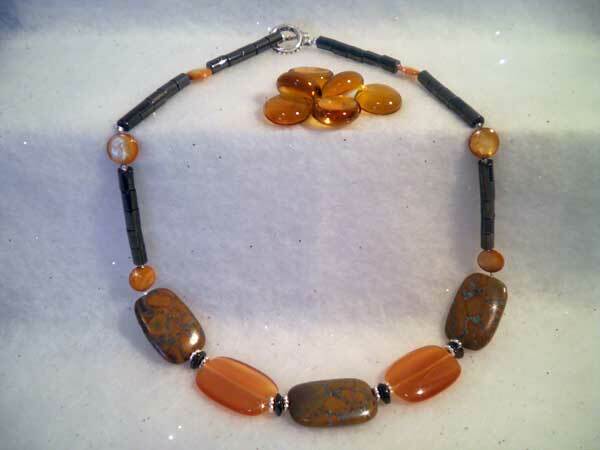 The remainder of the piece is magnetic hemalyke cylinder beads with silver seeds and butterscotch buttons.